Former Prime Minister and University of Canterbury alumnus, the Rt Hon Sir John Key officially opened the new Trading Room in the UC Business School on Monday. The UC Trading Room simulates a financial trading environment, providing business and finance students with experiential learning and skills in fund management. The 12-seat facility includes a live stock ticker display, access to business news feeds and a range of electronic business databases including Bloomberg, Thomson Reuters DataStream, Global Financial Data and SIRCA. It will be used primarily for teaching undergraduate and postgraduate courses in finance across three programmes – the Bachelor of Commerce, the Master’s degree in Applied Finance and Economics, and the Master’s degree in Financial Management. Read the news story to find out more. Check out the coverage on 1 News. 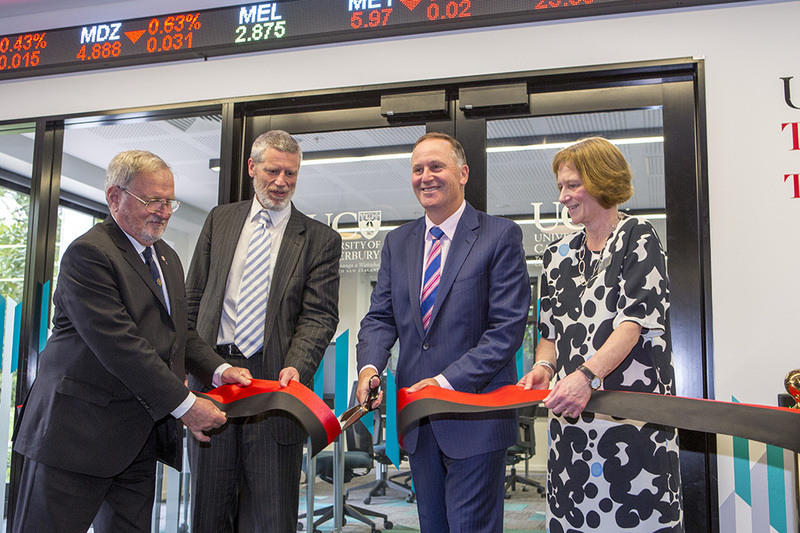 Sir John Key officially opened the UC Trading Room in the Business and Law building on Monday. Left to right: Dr John Wood – Chancellor, Dr Rod Carr – Vice-Chancellor, Sir John Key, Professor Sonia Mazey – Pro-Vice-Chancellor College of Business and Law. 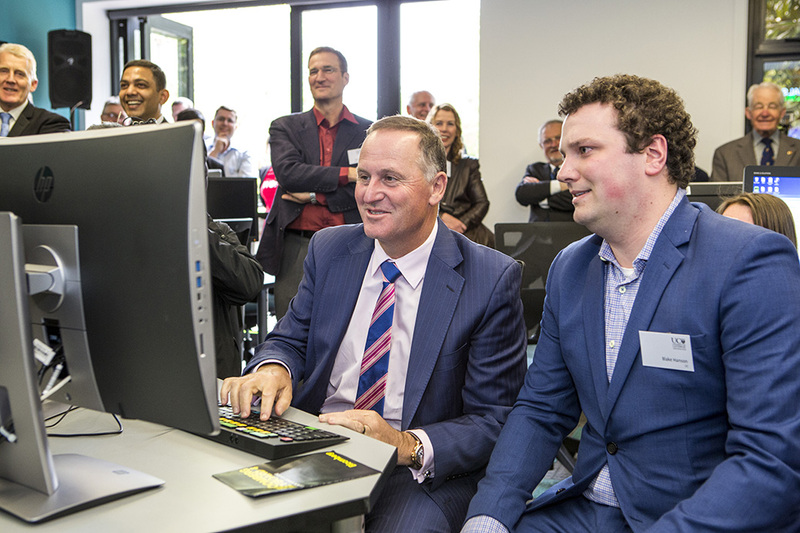 Sir John Key tries out some of the new technology in the UC Trading Room.